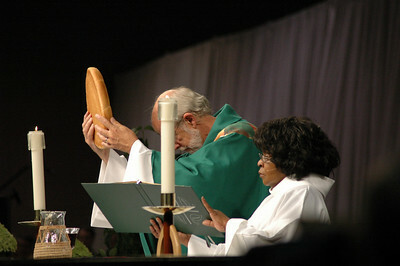 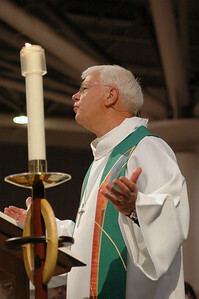 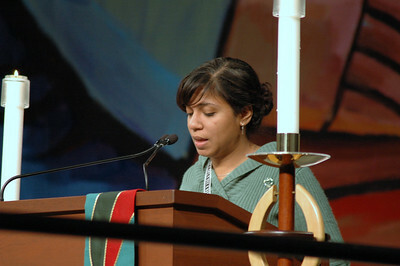 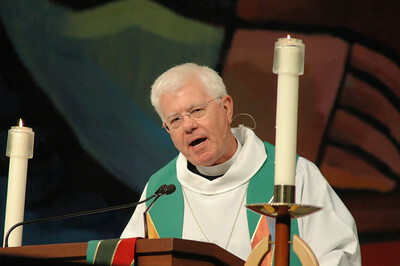 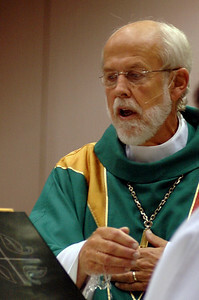 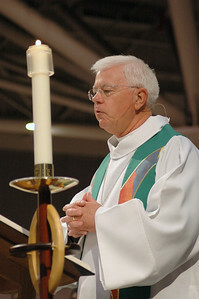 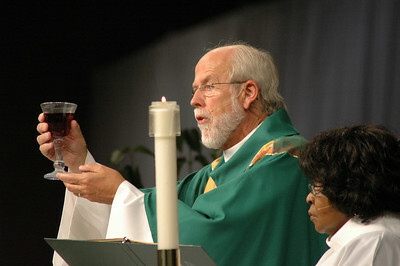 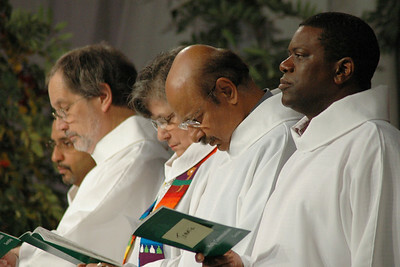 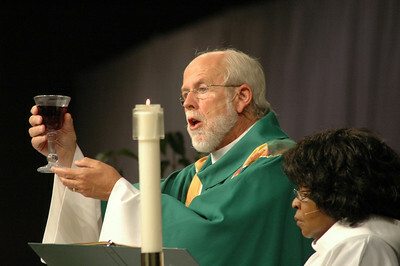 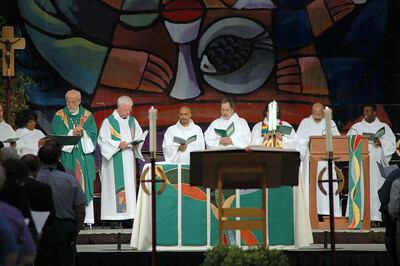 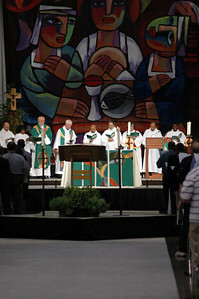 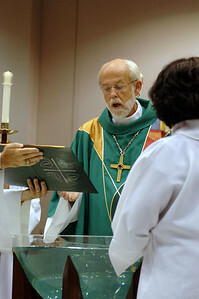 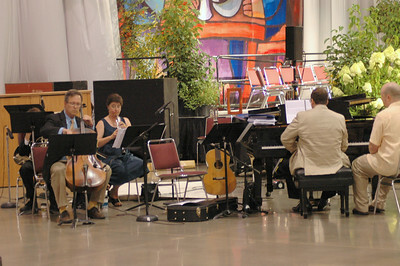 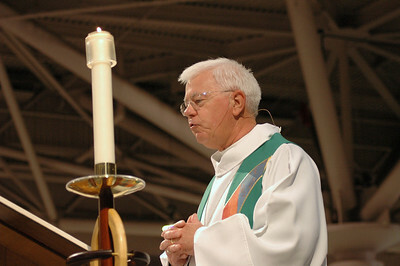 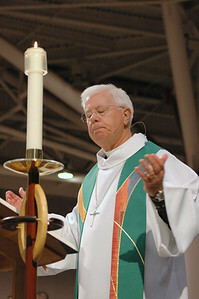 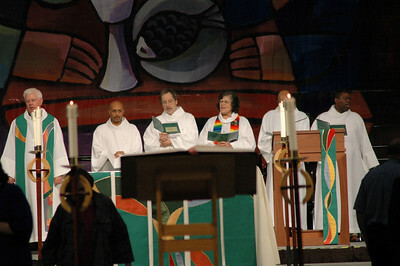 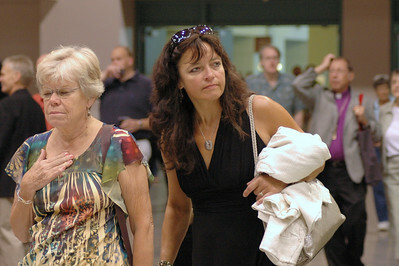 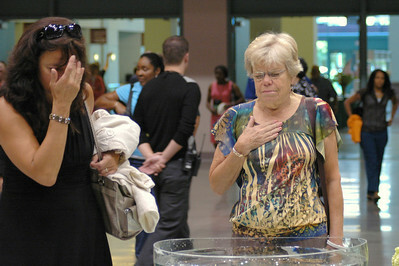 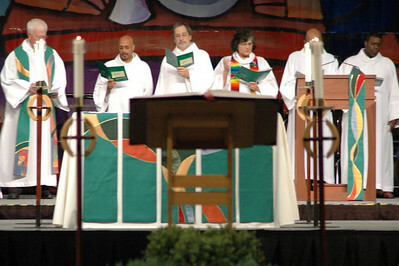 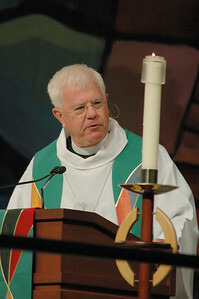 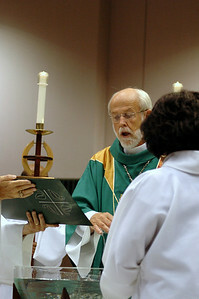 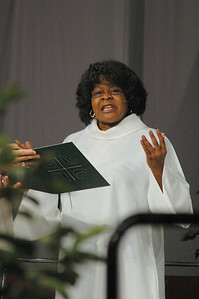 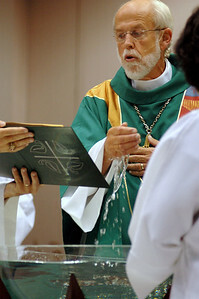 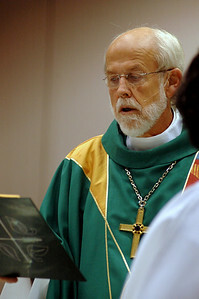 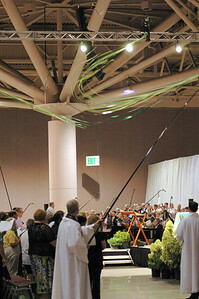 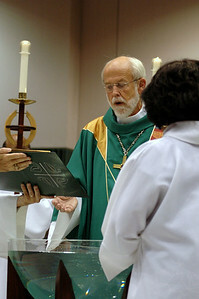 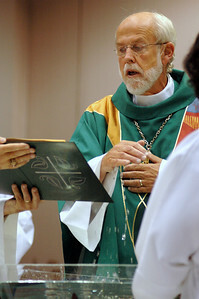 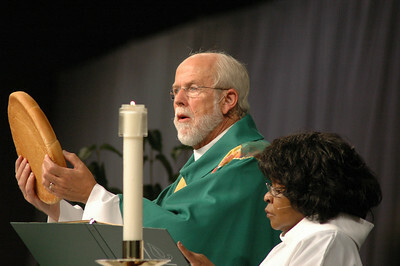 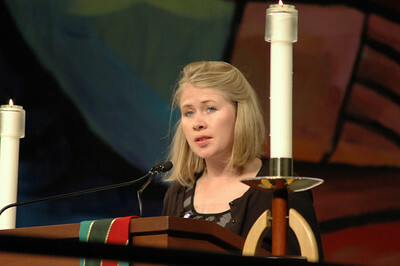 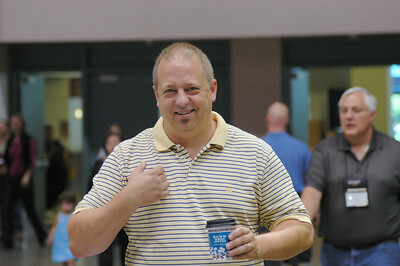 Bishop Allan Bjornberg, Rocky Mountain Synod preached during closing worship. 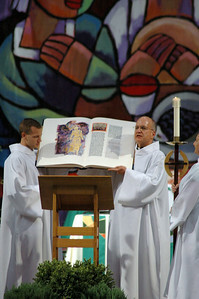 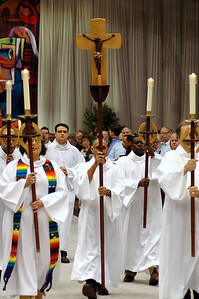 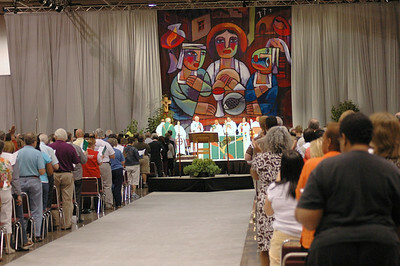 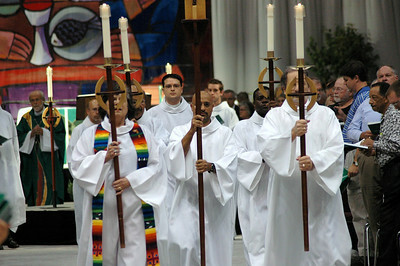 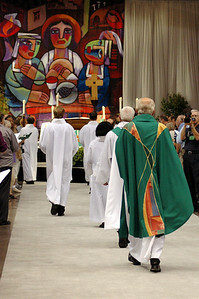 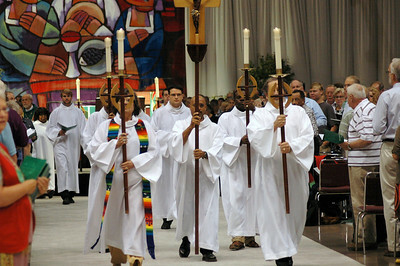 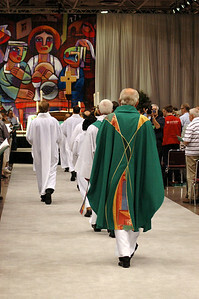 Procession to the font during closing worship. 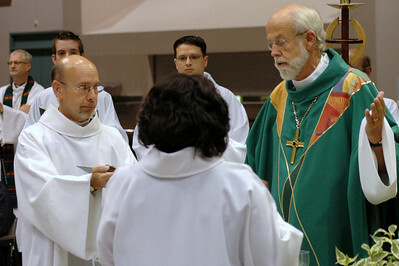 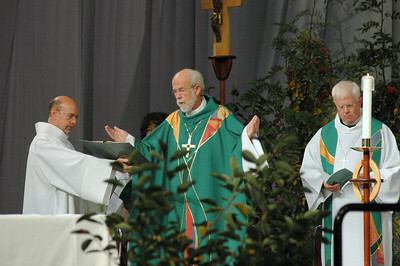 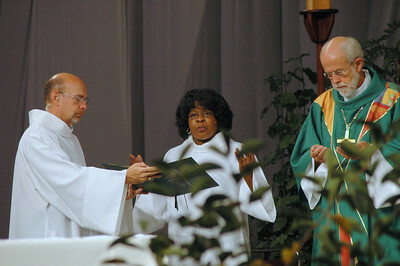 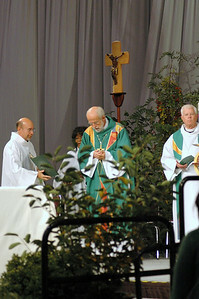 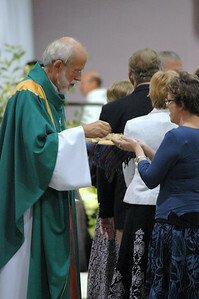 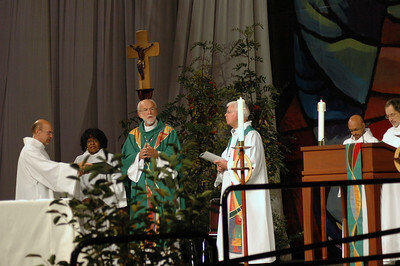 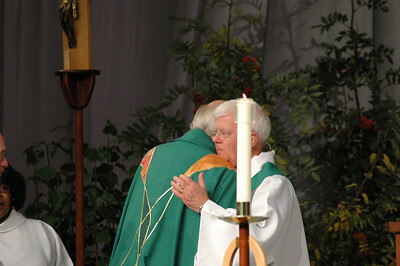 Passing of the peace between Bishop Hanson and Bishop Bjornberg.